The Senior All Star games are now past history and the 2013 NFL Combine approaches, beginning February 23rd. I thought this would be a good time to take another look at our top 5 players at each position. Some players helped themselves by their performance in the Senior Bowl and East-West Shrine Game. Others may have slipped a bit by not showing up for those game or other reasons. Going into the Combine, here are my top 5 at each position. Analysis: Matt Barkley and Geno Smith were head and shoulders above everyone in September; however, USC and West Virginia experienced a major slide at the end of the year. Both teams’ woes could be attributed to the defenses and should not be placed entirely on the quarterbacks. The Combine is only part of the puzzle but I believe that when these two guys get in front of NFL personnel, they will cement themselves as the best QB’s in this year’s class. E.J. Manuel helped himself by winning the Senior Bowl MVP. This class is not like previous years where there is a clear cut #1 that will be the overall top selection. I’m not sure that any of these guys are worth the overall top pick. Sorry Chiefs’ fans. Eddie Lacy helped his draft stock by dominating at the end of the season, pounding two pretty good defenses (Georgia and Notre Dame). Montee Ball is only the NCAA’s all-time leader in touchdowns. Franklin really helped his draft stock in Senior Bowl practices, especially in pass protection drills. Taylor is a guy that can do it all. Analysis: Some scouts have Patterson as their #1 receiver. He is definitely an explosive player, but at times struggles with making the catch. I believe Allen and Austin are above him in that regard and Austin is every bit as explosive. Patton really helped himself with a good week at the Senior Bowl. Hopkins is a threat to take it all the way on every play. Analysis: Ertz and Eifert are neck and neck, probably more 1 and 1a rather than 1 and 2. They are almost exactly the same size, but Ertz may have a little more play making ability. You can’t go wrong with either player. Reed is a versatile player that was part of a rotation at quarterback his freshman season. Sims is like having a third offensive tackle on the field, but he also has soft hands. Analysis: Pryor and Line are not the typical block first and catch a couple of passes type of fullback. Pryor burst onto the scene at the Orange Bowl rushing for 134 yards with only 5 carries and getting the game’s MVP. He is a former tailback that obviously still has the speed and moves to carry the ball. Line amassed over 4,000 career rushing yards at SMU. Boren also filled in at linebacker for the Buckeyes and that versatility will intrigue NFL teams. Juszczyk created quite a buzz at the Senior Bowl when he stoned defenders in pass protection drills. Analysis: The top 3 of this class are very good and have the ability to start day one at left tackle. Most scouts have Joeckel rated #1, but what I saw from Fisher at the Senior Bowl was very impressive. I have him slightly above Joeckel, but either one could be the first tackle taken. Johnson is an extremely athletic tackle that was a quarterback his freshman year and has bulked up to become one of the top tackles in this class. Fluker is probably a right tackle only and Pugh may play on the right side or move inside to guard. Analysis: This is a very strong class of guards. Warmack’s run blocking helped Alabama to dominate the line of scrimmage. Jones has played every line position for the Crimson Tide, but guard may be his best position. He did not play as well this year at center, but he was also injured. His versatility is a big plus for him. Warford is an absolute beast in run blocking and Winters is a tackle that looked very good at guard in the Senior Bowl. Analysis: Schwenke had a very good Senior Bowl week and created a quite a buzz. He would be a great fit for teams that have a zone running scheme. He could also play guard. When USC lost Holmes for a couple of games due to injury their season unraveled and it never quite came back together again. Analysis: Another extremely strong class. If you need a pass rusher, this is your year. Mingo is a beast coming off the ball. His speed and quickness make him an extremely disruptive player. Werner and Ansah are both foreign born players that have not played many years of organized football. Both are extremely athletic and their best years are ahead of them. Moore is a former 3-4 linebacker that thrived as a 4-3 defensive end. Analysis: Lotulelei and Hankins are stout players that tie up the middle of the line. Both would be good fits as nose tackles. Williams, Floyd and Short are probably better fits as 4-3 defensive tackles. Williams and Short have a reputation for taking plays off, but when they are motivated they can be dominating. Analysis: Jones is head and shoulders above everyone else on this list. He is a natural pass rusher that also makes plays in almost any defensive category you can think of. He is a player that the offense has to know where he is at all times. Greene is a former safety that has very good speed for a linebacker. Analysis: I know what you’re thinking, Te’o was dropped because of the Lennay Kekua hoax, but that isn’t why I’ve dropped him. Ogletree is extremely athletic and could play inside or outside in a 3-4 scheme. He is a former safety that has incredible speed for the position. Te’o had a rough game against Alabama and I believe the hoax affected him. I’m sure he will be able to explain that to NFL Scouts and will still be a first round player that will be the heart and soul of an NFL defense. He is a prototypical mike linebacker that is a tackling machine and he isn’t a liability on third down. Analysis: Banks and Milliner were not part of the All Star games, but it does not hurt their ranking. They are the top two corners available. Trufant isn’t far behind them. He had an excellent week at the Senior Bowl and showed he has excellent press coverage skills. Poyer’s draft status may depend on his 40 yard time at the Combine, but he is a guy that is always around the ball. Blidi Wreh-Wilson has come from nowhere after a very good week at the Senior Bowl. Analysis: Elam had a very good year, leading a stout Florida defense. I’m not as high on Vaccaro as others, but it may be because of the overall collapse of the Longhorns defense this year. He was forced into making a lot of tackles, but I also saw him miss some that he should have made. Thomas improved his draft stock with a solid Senior Bowl week. 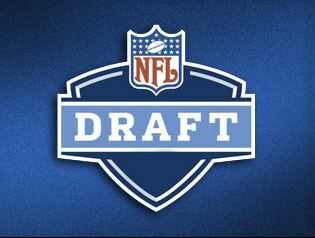 This entry was posted on February 15, 2013 by draftmaniacs in Top 5 at each position and tagged 2013 NFL Combine, 2013 NFL Draft, 2013 NFLDraft, Alabama football, BYU Football, Clemson Football, E.J. Manuel, Eddie Lacy, Florida State football, Georgia football, Mani Te'o, NFL, NFL Draft, Notre Dame football, UCLA football, USC football.